Pittsburgh native John Buccigross hardly needs an introduction. He has been with ESPN since 1996. He used to host NHL 2Night until 2004. He is a huge hockey fan and still does play-by-play for ESPN at college games. He was nice enough to 'sauce' me an interview this past weekend while he was visiting Penn State to call the Nittany Lion game with Michigan. Pens Initiative: With the Winter Olympics just around the corner, what are you projections for Gold, Silver, and Bronze? John Buccigross: Gold - Russia, Silver - US, Bronze - Canada. PI: Who was your biggest snub from Team USA? John Buccigross: Bobby Ryan is my biggest snub. Elite goal scorer. PI: What were your initial thoughts of Pegula Ice Arena? How long do you think it will take for Penn State Men’s Hockey to catch up to the rest of the Big Ten? John Buccigross: It is perfection. From capacity to sight lines, it is perfection. Penn State will be a Top 10 team in 3-5 years. PI: As a Pittsburgh native, are you surprised by the surge in Pittsburgh-born NHL players? John Buccigross: No. Pittsburgh is a tough town. It had an all time great in Mario Lemieux and back to back Stanley Cups. That leaves a mark on a generation. Hopefully, it will continue through smart coaching and a passionate fanbase. PI: What are your thoughts on the Pittsburgh Penguins this year? Do you like their chances for the Stanley Cup? Who do you think they should target at the trade deadline? John Buccigross: The Penguins have a good chance to win another Stanley Cup. If I were to add anything at the deadline it would be another Top 6 forward... someone that can score in the playoffs where sometimes it's hard to score. PI: After the Penguins were eliminated from last year’s playoffs, you made the comment on Twitter that, "The country club is back and better than ever...there seems to be a laid back, wine and cheese vibe to the operation juxtaposing with city roots." Do you think that same culture exists this season or do you think some of those issues were addressed in the offseason? John Buccigross: At times, I still think there is a lack of "over my dead body" mentality. There is a relaxed state from ownership on down that can lead to some complacency or losing that edge. Hockey is a hard, tough game. Sometimes you need hard, tough people to win the big prize. This is where #87 comes in. He has to lead with a sense of desperation without losing his cool. It's a fine line. PI: Finally, do you miss hosting NHL 2Night? Who had the best stories (Melrose, McKenzie, Olczyk, Pang, Ferraro, Clement, someone else)? John Buccigross: I certainly miss NHL2night. Everyone had good stories. Just a great group of guys and it was fun watching hockey, and only hockey, every night. Those were the days. 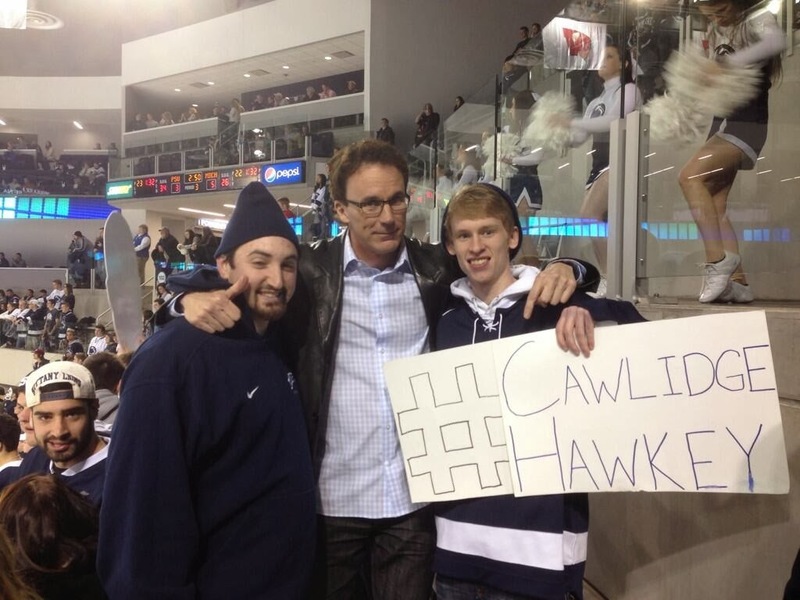 John Buccigross can be seen on ESPN's 11PM Sportscenter and on weekends calling Cawlidge Hockey games on ESPNU. Follow him on Twitter @Buccigross.